We have over 60 active groups associated with St Edmund’s catering for all ages, tastes and interests. 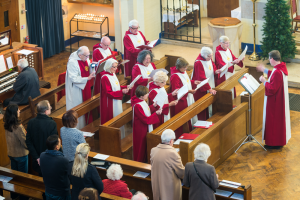 We have a number of church choirs and a very active family mass group. We are always looking for volunteers to help with cleaning, after-mass teas & coffees and with many of the parish groups- if you would like to volunteer please contact the parish office, see the details at the bottom of this page. Society of St. Vincent de Paul (SVP) – Find out about what we do on our website and contact us by email or phone 07789 497482 and leave a voicemail. 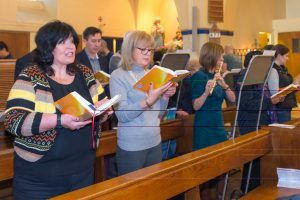 Catholic Singles – a new group for 2016 , Catholic singles are practicing young Catholic adults of any age who are single and willing to commit their faith in praising God. It’s an organisation with an intention of building happy family life based on Catholic values and ethos. Anyone interested in joining should contact Emily on 07576 761990 or by email.